True Blood is an American dark-fantasy-horror TV series. The first season was premiered on HBO on September 7, 2008 and concluded on August 24, 2014. To this date, this series has 7 seasons and 80 episodes. And, being popular among fans, they have been asking: Is True Blood on Netflix? We will answer it in a moment. This series revolves around Sookie. She can read the minds of people and is a waitress at Merlotte’s Bar and Grill. She meets Bill who is a 173 years old vampire and returns to his former home. The vampire community has divided into two groups. One group wants to integrate into human society, want citizenship and equal rights etc. Another group thinks human and vampire should live distant. This show presses issues like equal rights, violence against minorities, power of religion and importance of family. This series has won many awards for its prosthetic makeup, art-direction, sound editing and casting. This show has won 1 Golden Globe award. In total, the series has 34 award wins and 135 award nominations. It has been nominated for many Primetime Emmy awards. Now, for your question: Is True Blood on Netflix? Why isn’t True Blood on Netflix? True Blood is an HBO series. HBO and Netflix are competitors. Netflix don’t allow HBO to stream their shows and HBO don’t allow Netflix to stream their shows. Just like Game of Thrones and other HBO shows, True Blood is not available on Netflix instant. However, you can rent this show on Netflix DVD and Blu-ray for a monthly fees of $4.99. All 7 seasons are available on Netflix DVD. Or you can buy a HBO subscriptions. HBO has great shows in their arsenal and a HBO subscription will be worth it. Here is the Wikipedia page of True Blood TV series. 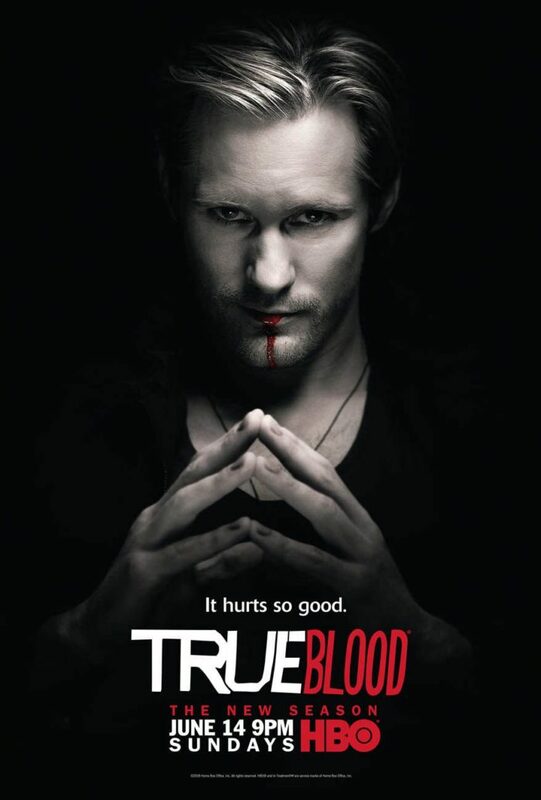 Like and share this page with your True Blood fan friends!